Victor Vogel was the recipient of the Career Development Award from the American Cancer Society in 1987 and from 1990 to 1993. LEWISBURG, PA, September 24, 2018 — Marquis Who's Who, the world's premier publisher of biographical profiles, is proud to present Victor Vogel, MD, with the Albert Nelson Marquis Lifetime Achievement Award. An accomplished listee, Dr. Vogel celebrates many years' experience in his professional network, and has been noted for achievements, leadership qualities, and the credentials and successes he has accrued in his field. As in all Marquis Who's Who biographical volumes, individuals profiled are selected on the basis of current reference value. Factors such as position, noteworthy accomplishments, visibility, and prominence in a field are all taken into account during the selection process. Dr. Vogel began his career as a resident in internal medicine at the Baltimore City Hospitals, now known as the Johns Hopkins Bayview Medical Center, in Baltimore, MD, from 1978 to 1981. Following this appointment, he was a fellow in medical oncology at Johns Hopkins Oncology Center in Baltimore from 1983 to 1986. During this time, he was also an Andrew W. Mellon fellow at John Hopkins School of Hygiene and Public Health, now known as the Johns Hopkins Bloomberg School of Public Health, from 1984 to 1986. From 1986 to 1993, he served as an assistant professor of medicine and epidemiology at the University of Texas M.D. Cancer Center in Houston, TX. He continued his career at the center as an associate professor of clinical cancer prevention from 1993 to 1995. Additionally, Dr. Vogel was an assistant professor of epidemiology at the School of Public Health at the University of Texas Health Science Center at Houston from 1987 to 1995. After this opportunity, Dr. Vogel became professor of medicine and epidemiology at the University of Pittsburgh Medical Center, Hillman Cancer Center, at Magee-Womens Hospital in Pennsylvania from 1996 to 2008. During his time at the University of Pittsburgh Medical Center, Hillman Cancer Center, he was director of the breast cancer program from 1996 to 2002 and director of the breast cancer prevention program from 2003 to 2008. From 2009 to 2010, he was vice president of research at the American Cancer Society in Atlanta, GA, and chair of the prevention committee for the American Society of Clinical Oncology. He worked as director of the Geisinger Cancer Institute from 2010 to 2012. Dr. Vogel has been director of breast medical oncology and research at the Geisinger Cancer Institute since 2013. Prior to embarking on his career, Dr. Vogel received his Bachelor of Arts from Johns Hopkins University in 1974. In 1978, he earned his Doctor of Medicine from Temple University in Philadelphia, PA. He concluded his education with a Master in Health Science from the Johns Hopkins Bloomberg School of Public Health in 1986. Additionally, he is a diplomate of the National Board of Medical Examiners and the American Board of Preventative Medicine. Dr. Vogel has also been certified in both internal medicine and medical oncology by the American Board of Internal Medicine. In addition to his career, Dr. Vogel has also worked as an epidemiologist for the Texas Breast Screening Project with the American Cancer Society from 1986 to 1993. From 1994 to 2004, he was a member of the data and safety monitoring board of the National Institutes of Health for the Women's Health Initiative. Following this appointment, he was on the board of directors for the National Surgical Adjuvant Breast and Bowel Project from 1997 to 2011. Dr. Vogel has also contributed to the National Cancer Institute as a protocol chairman. Dr. Vogel served in the National Health Services Corps for the United States Public Health Service from 1981 to 1983. In 2003, he was the founding president of the International Society for Cancer Risk Assessment and Management. He is also a contributor of over 100 articles to professional journals. Dr. Vogel was the editor of “Management of Patients at High Risk for Break Cancer” for Blackwell Science in 2001 and author of “Doctor, What if it Were Your Mother? : Hope, Faith and Reason at the End of Life” for Westbow Press in 2014. Dr. Vogel is a fellow of the American College of Preventative Medicine and the American College of Physicians. He is also a member of the American Society of Clinical Oncology, the Christian Medical and Dental Association and the American Association for Cancer Research. 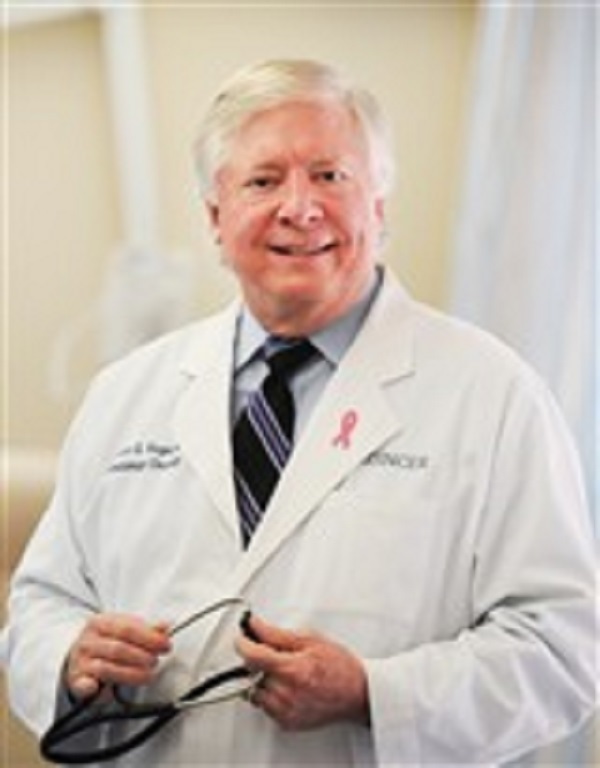 Dr. Vogel was named Medical Volunteer of the Year by the American Cancer Society in 1983. In 1987 and from 1990 to 1993, Dr. Vogel was the recipient of the Career Development Award from the American Cancer Society. Additionally, from 1990 to 1993, he was honored as a fellow of the Susan G. Komen Breast Cancer Foundation. In 2008, he received the Impact Award from the National Consortium of Breast Centers. He was also celebrated as a fellow of the American Society of Clinical Oncology in 2016. Dr. Vogel has previously been selected for inclusion in the 34th edition of Who's Who in Finance and Business and multiple editions of Who's Who in Finance and Industry, Who's Who in America, Who's Who in American Education, Who's Who in Medicine and Healthcare, Who's Who in Science and Engineering, Who's Who in the East, Who's Who in the South and Southwest, and Who's Who in the World. In recognition of outstanding contributions to his profession and the Marquis Who's Who community, Dr. Vogel has been featured on the Albert Nelson Marquis Lifetime Achievement website. Please visit www.ltachievers.com for more information about this honor.